I see a very faint blurring of the lines but frankly I’d need to so close to notice it that it would be indecent. But you don’t appear to have much darkness under the eyes anyhow. 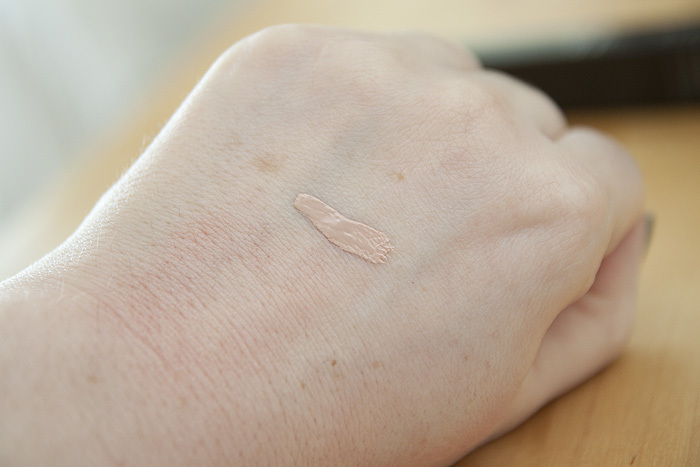 I do think that Touche Eclat does conceal a bit, more than this does at any rate. The Clarins version conceals quite a lot. I was given a sample of this with my last purchase at the counter. The sales girl did tell me that unless your skin was very dull to begin with you are unlikely to notice any difference! 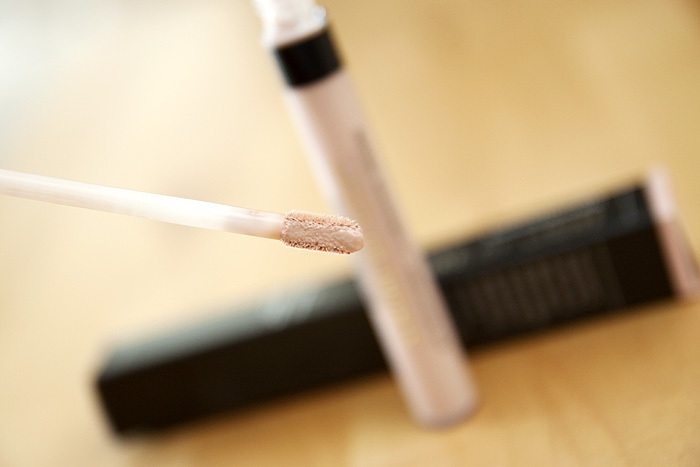 I like Bobbi Brown’s the best – the tinted eye brightener. 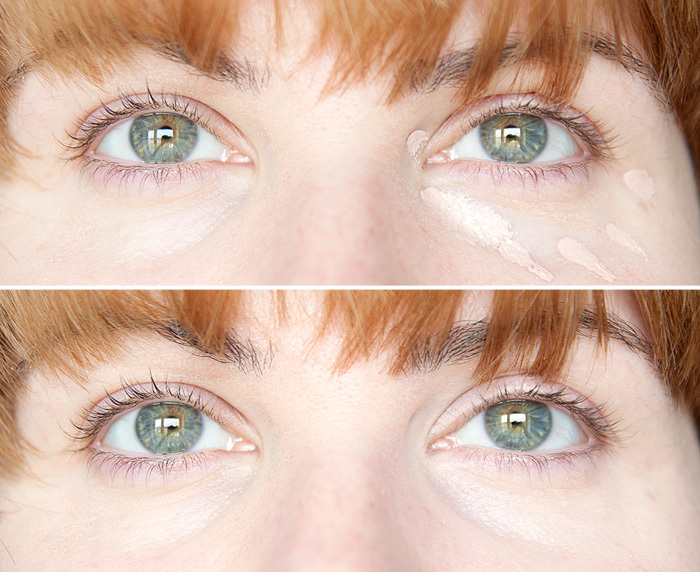 I use the lightest one – light bisque 0 on my blue circles and it color corrects and brightens enough so I don’t have to use a concealer. (This method is preferred since I would have to use so much concealer, it effectively ages me more than leaving the damn circles alone would have.) 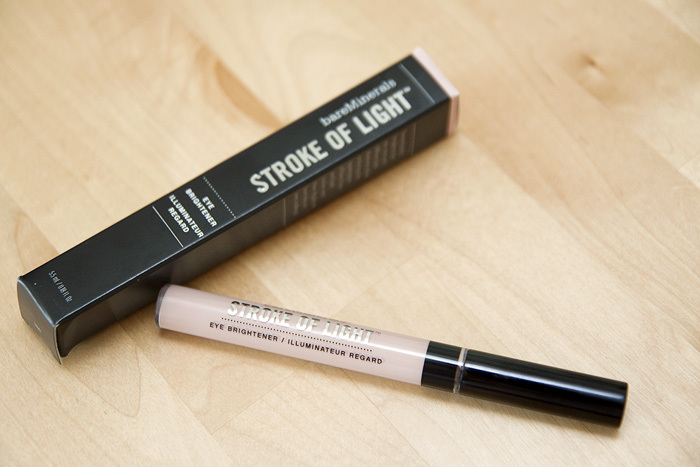 The packaging is a b*tch though. It’s so slick and slippery that I have trouble getting the cap off.